The inner voices of anorexia and bulimia whisper that you’ll never be happy until you lose weight and that your worth is measured by how you look. But the truth is that happiness and self-esteem come from loving yourself for who you truly are, and that’s only possible with recovery. It may seem like there’s no escape from your eating disorder, but remember you are not alone in your struggle. Millions of men, women, girls and boys struggle with anorexia and bulimia and manage to recover. With treatment, support from others, and smart self-help strategies, you can overcome your eating disorder and gain true self-confidence. The road to recovery starts with admitting you have a problem. This admission can be tough, especially if you’re still clinging to the belief–even in the back of your mind–that weight loss is the key to happiness, confidence, and success. Even when you finally understand this isn’t true, old habits are still hard to break. The good news is that the eating disorder behaviours you’ve learned can be unlearned if you’re motivated to change and willing to ask for help. However, overcoming an eating disorder is about more than giving up unhealthy eating behaviours. It is also about rediscovering who you are beyond your eating habits, weight, and body image. · Listen to your body. · Listen to your feelings. The exact treatment needs of someone struggling with an eating disorder will vary according to the individual. It is, therefore, important that a health professional coordinates any treatment plan. It can be scary and embarrassing to seek help for an eating disorder but gaining support from a trusted friend, family member, religious leader, school counsellor, or work colleague is for many people the first step on the road to recovery. Alternately, some people find it less threatening to confide in a treatment specialist, such as an eating disorder counsellor or nutritionist. · Ask your primary care doctor for a referral. · Check with local hospitals or medical centres. · Ask your school counsellor or nurse. Anorexia and bulimia can be deadly–and not just if you’re drastically underweight. Your health may be in danger, even if you only occasionally fast, binge, or purge, so it’s important to get a full medical evaluation. If the evaluation reveals health problems, they should take top treatment priority. Nothing is more important than your physical well-being. If you’re suffering from any life-threatening problem, you may need to be hospitalised in order to keep you safe. Once your health problems are under control, you and your doctor or therapist can work on a long-term recovery plan. First, you’ll need to assemble a complete eating disorder treatment team. Your team might include a family doctor, a psychologist, a nutritionist, a social worker, and a psychiatrist. Then you and your team will develop a treatment plan that’s stylised to meet your needs. The most common therapy for eating disorders is cognitive-behavioural therapy. This targets the unhealthy eating behaviours of anorexia and bulimia and the unrealistic, negative thoughts that fuel them. One of the main goals is for you to become more self-aware of how you use food to deal with emotions. The therapist will help you recognise your emotional triggers and learn how to avoid or combat them. 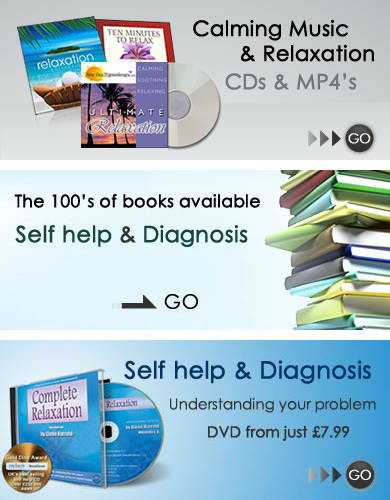 Cognitive-behavioural therapy for eating disorders also involves education about nutrition, healthy weight management, and relaxation techniques. The goal of a nutritionist or dietician is to help you incorporate healthy eating behaviours into your everyday life. A nutritionist can’t change your habits overnight, but over a period of time you can learn to develop a healthier relationship with the food you consume.